“I see myself as a songwriter first, solo artist second,” confessed Sophie Sanders, whose debut single “Still Waters” was released on streaming services this past August. Nowadays, the soft-spoken songwriter is emerging from behind the scenes and getting acquainted with her newfound place in the center of attention. Judging from the poeticism of the single’s lyrics and Sanders’ delightfully gentle vocals, she won’t be receding into the background anytime soon. After having the chance to chat with Sanders recently, here are five things every music fan needs to know about Nashville’s latest up -and-coming artist. 1. She’s no stranger to the country community. Even first-time listeners will notice a familiar voice on “Still Waters,” and that would be none other than Amy Grant. The single was produced in a home studio belonging to country veteran Vince Gill, Grant’s husband. When she wasn’t focused on the recording, Sanders says she marveled at the hundreds of guitars adorning the studio’s walls, relishing in Gill’s stories about each one. 2. She never really planned on being an artist. Despite growing up fully ingratiated in the Nashville music scene, Sanders never intended to follow in her father’s footsteps. It wasn’t until after graduating college (with a B.A. in psychology and anthropology) that she even picked up a guitar. “I was home from college after getting my wisdom teeth out,” Sanders recalled of her first introduction with the instrument. While the guitar may have been unfamiliar, writing itself was not. She is a longtime writer of poetry and prose. Songwriting, then, was an inviting challenge from which there was no looking back. For the past five years, Sanders has been writing in Nashville. 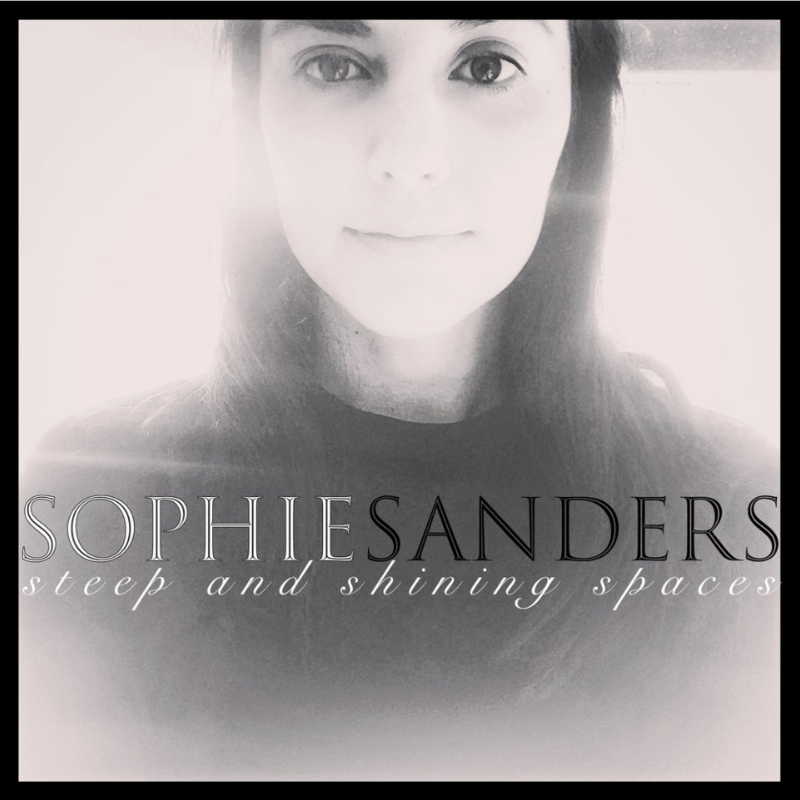 Sanders debut album, Steep and Shining Places, is due for release on November 30th. Each of the tracks will be released one at a time on streaming services. Since “Still Waters,” other singles, “Easy Enough” and “Sky Blue Sky” have also become available. 4. She is inspired by Lori McKenna. However, beneath the influences from other artists evident in her work, there is a unique voice unequivocally her own. It is this voice that inspired her to take a break from writing for others. “I knew it was time to transition from songwriter to artist because of the sheer number of songs I had written for myself,” Sanders said. “I didn’t know if they should belong to someone else.” Out of those songs, Steep and Shining Places was born. 5. Her sound won’t be confined to genre expectations. Felix McTeigue – whose career has never been strictly confined to the Nashville scene – produced Sanders’ upcoming record. “He pushed the record away from having just one sound,” Sanders said of McTeigue’s influence. Listeners will be grateful that Sanders heeds the advice of her father and lets only the force of her own poetic voice dictate the course of her emerging career as an artist. Listen to pre-release tracks on Spotify below, and stay up to date on her website.